If you’re looking to increase your protein intake Myprotein Impact Diet whey is the whey forward. 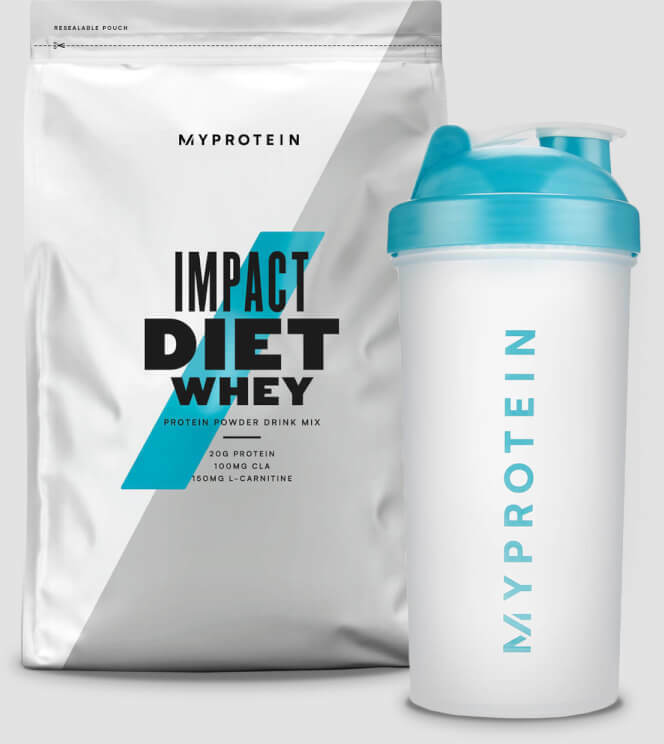 Myprotein Impact Diet Whey is an unrivaled product that has been specifically developed and engineered to provide an excellent source of protein, whilst providing a small level of slow digesting carbohydrate*. The Impact Diet Whey protein mix consists of a blend of Whey protein concentrate and milk protein concentrate with an added source fiber. During defined phases of training athletes and bodybuilders often have aims to decrease body fat percentage. During intense physical workout routines, our muscles can become stripped of glycogen and important muscle maintaining nutrients, making nutrition the key to success*. Diet Whey contains protein, a source of complex carbohydrates and fiber, whereby these carbohydrates are in the form of low GI instant oats. A low GI value means Impact Diet Whey can provide muscles with a supply of glycogen, whilst preventing a spike in blood glucose levels*. A high combination of protein means Impact Diet Way can contribute to fat loss and the maintenance and growth of lean muscle mass*. Impact Diet Whey can be used individually as a meal replacement, whereby one serving contains less than 200 calories. This product also comes in three mouth watering flavors. This product is suitable for active individuals aiming to achieve a decrease in body fat. Impact diet Whey is suitable for all individuals who are seeking a source of protein, carbohydrate and fiber without an added large amount of calories. One serving contains less than 200 calories so can therefore be used as a meal replacement for those worried about their calorie count. Impact Diet Whey can be taken at any point in the day but in order to optimize results and enhance muscle recovery a shake is best consumed in the morning or post workout. The choice of awesome flavors means this product can for an delicious shake using water, milk or even other dairy products such as Greek yogurt!.